In case you haven’t been following Konami VP and MGS creator Hideo Kojima on Twitter, he posted a photo of a video he’s editing. 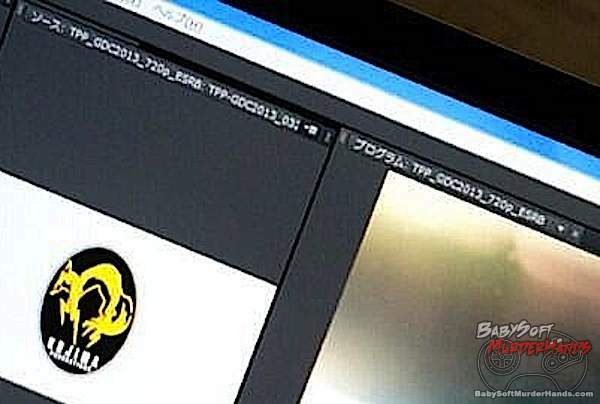 On his computer screen we can see several details which hint towards his involvement with the elusive Phantom Pain game. You can see the file name in the window he’s working on has “TPP” and then GDC. This could very easily mean The Phantom Pain video to be revealed at this years Game Developers Conference. Some gamers on NeoGaf have even begun to speculate that the video of Joakim Mogren on GTTV is in fact CGI. They base this suspicion on the fact that Joakim and interviewer Geoff Keighley are never in the same frame. Furthermore, they point irregularities in Mogren’s collar and some facial irregularities. This is all of course speculation that leads to The Phantom Pain being Metal Gear Solid 5. We will find out more from both Hideo Kojima and Joakim Mogren at GDC 2013.